One of the things I loved most about living in Miami was all the fabulous lightweight beach crochet. Now that I live in the Midwest, I cherish those summer days and still love those crochet creations for music festival and outdoor concert season. I've rounded up a few of my faves that will be perfect for your summer events. Which will you make first? The Elisa Top Free Crochet Pattern by Kim Guzman is perfect for summer festival season over your tank top or your favorite bikini. I just love how this top drapes too! This Diamond Summer Tee free crochet pattern by Nicole Riley is such a fun design and works for gals of all shapes! Not just for summer festivals - but this top will take you right into fall to! The Beachside Summer Top is perfect for the beach, the farmer's market or any summer activity! It works up super quick and can easily be sized for children and adults! This super cute Festival Bra-let free crochet pattern from Taylor Lynn Crochet will be your go to staple item for all summer festival season! Such a great quick top to make! 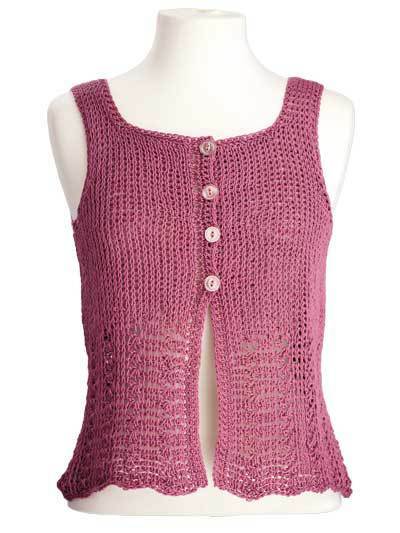 The Chain Link Sleeve Tank Top Free Pattern by Kim Guzman may be my new personal fave. You will likely be seeing me in this soon enough! 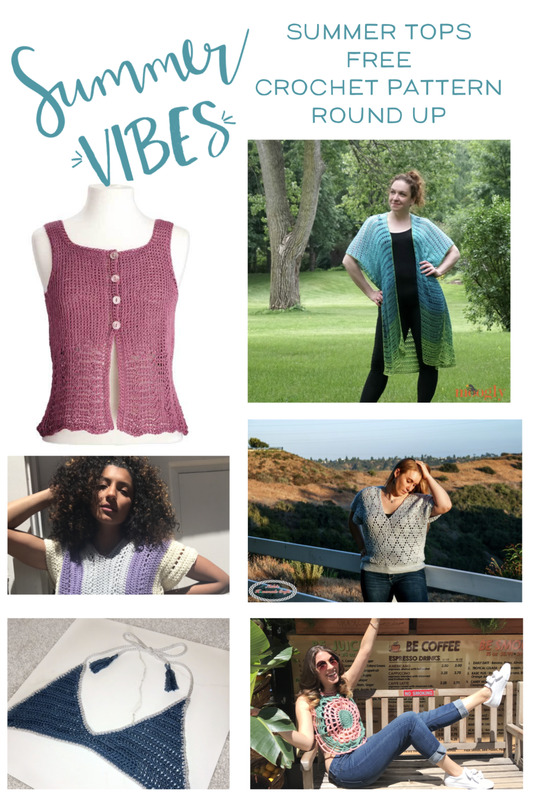 The Seaglass Summer Cardi Free crochet pattern from Tamara Kelly at Moogly is such a perfect Festival Season finishing piece. Especially for when the sun goes down and the night gets cool. The Riviera Tee is perfect for those evening events when the beating hot sun has set but the air is still warm and the summer vibes are still fabulous! Make this in your favorite color combo!